The first one is because of the amazing nature. I wanted to see the most spectacular and amazing place in the world and that is definitely NZ! The second reason is a bit of a story: a few months before I made the decision to travel to the other side of the world, I saw a documentary about the Kiwis and their lifestyle. I was so fascinated by their culture that I started to consider NZ seriously. The more I thought and the more I looked into NZ, the more I was excited to go to this country. What was your first impression when you contacted your Arrival Agency? Florian: My first contact with them was really cool. Since the first email, I got the feeling I’ll be well looked after by the team. That was really important to me because it was a big step for me to travel so far, as it was my first journey I would spend alone. Florian: At the beginning, I was a bit skeptical because after I arrived in Auckland I had to make a few big decisions for my whole journey and everything went so fast. But WHS helped me to make the right decision. Finally, I took the 12-month bus pass and that was the best decision I could have taken. With the bus pass, I got the chance to see the whole of NZ. The bus route includes every must-see place. With the bus I could stop everywhere. All I needed to do is to ask the bus driver if he/she could stop for a quick photo. The best thing with the bus was that I was able to meet many people from all over the world! I would recommend the bus pass to everyone who is not going to buy a car! Florian: Their services are simply amazing! Whenever a question came up in my mind, I just sent them a message or gave them a call and they helped me with everything! Florian: I was lucky to be able to spend the first days in Auckland with my personal contact from the agency. He gave me a lot of advice and tips, like what to do in NZ, where I should spend my time, and which activities I definitely had to do! With all the advice and the personal contact I felt really safe to start traveling around on my own. 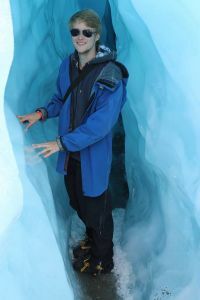 Florian: The best activity I did in NZ was the Ice Explorer Tour at Franz Josef Glacier. The tour was absolutely amazing and I would recommend it to everyone who is going to Franz Josef! Florian: From my experience, I would advise them to start the journey in the middle of October. It is the time of the fruit picking season and it will be very easy to find a job! 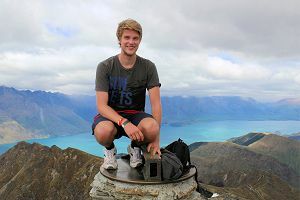 Florian: That is a really hard question because my whole journey in NZ was a big experience, for example, I learned that I should not plan everything, that it is important to be open-minded, and that you are never alone in NZ. 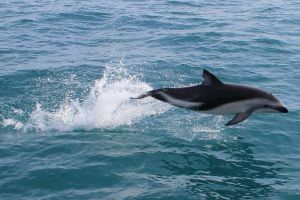 Florian: My favorite spot in NZ is Nelson (South Island). It is a big city (for NZ circumstances) with the best hostel I have ever been in. I met really nice people over there. I have been two weeks in Nelson and would go back there whenever I get the chance to. Florian: I did it already! I got the best organisation you could book for the biggest experience in your life! It was a small organisation and that is the reason why it is so great! With them you have a personal contact in NZ who really cares about you. In big organisations nobody cares about an individual like me. There, it is just all about the money and that is the other point they are amazing: in contrast to the big organizations, it was really cheap. With them I got a personal contact that cares about you and my personal contact is one of my friends now.